After your Initial Term, your online access subscription will automatically renew for additional periods of the same length, allowing you to conveniently maintain your progress and access. By purchasing today, you authorize Art of Coaching Volleyball to automatically charge your credit card account upon the expiration of the Initial Term at the prices in effect at the time of renewal (plus applicable taxes), without any additional action by you. You may cancel the automatic renewal feature at any time by contacting Customer Service at [email protected] Automatic renewals are not eligible for promotions or discounts. All purchases of a physical product from The Art of Coaching Volleyball online store may be exchanged or returned for a refund of the purchase price within fifteen (15) days of the Purchase Date. 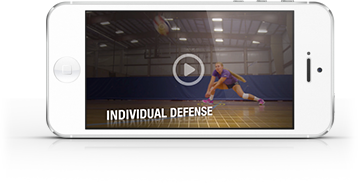 The fifteen-day money back guarantee is limited to purchases made directly from Art of Coaching Volleyball. The return postage is the responsibility of the purchaser. Users can purchase individual course or certificate access for the price listed for that course or certificate. Once purchased they will have lifetime access to the content in the course or certificate they purchased.